UPDATE 07/09/15: Spotted price increase for the East & West Gourmet Bolani. The bolani now costs $11.59 which represents a 15% increase. 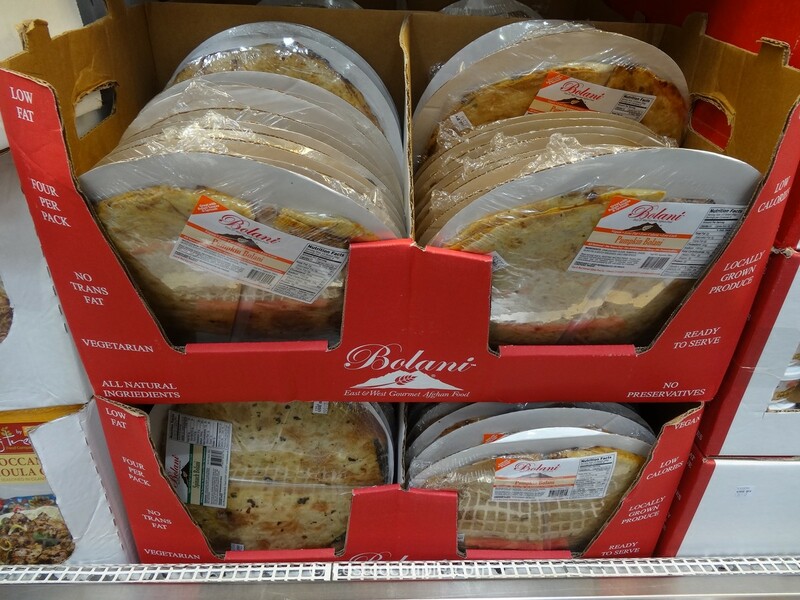 PUBLISHED 10/13/13: Bolani is a flat bread from Afghanistan, stuffed with vegetable filling. 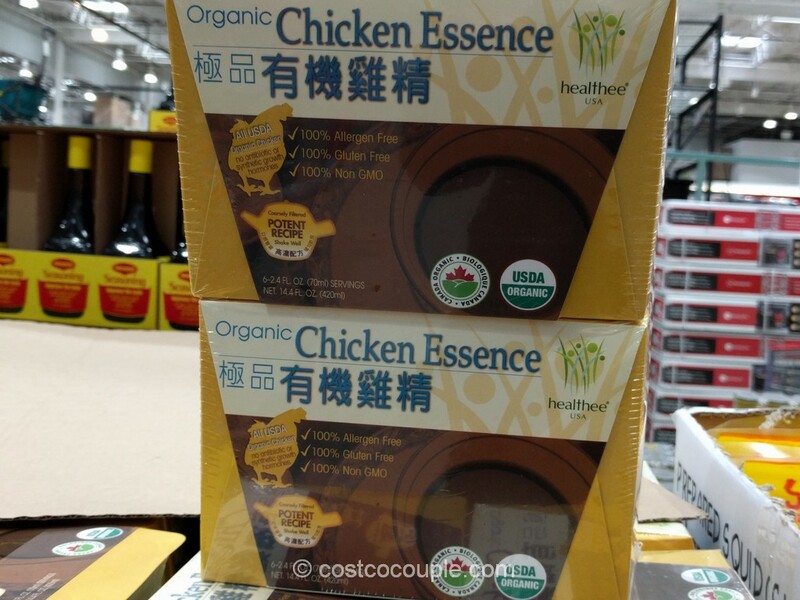 You can find the East & West Gourmet Bolani at some SF Bay Area Costco, another benefit of living in this diverse area. 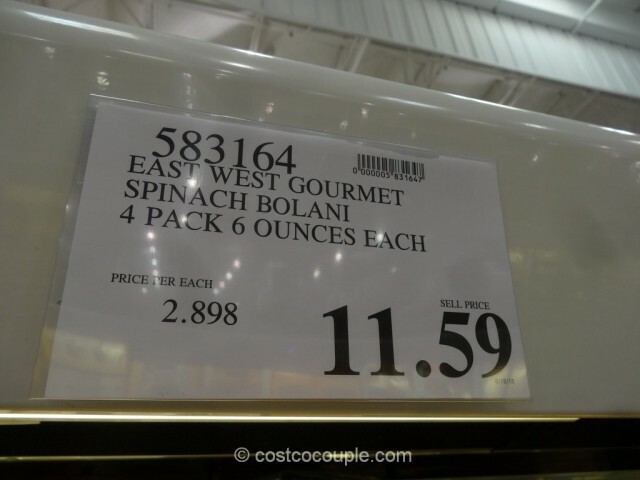 East & West Gourmet is a family business based out of Concord CA and I think we first saw them in various farmers’ market here in the Bay Area. 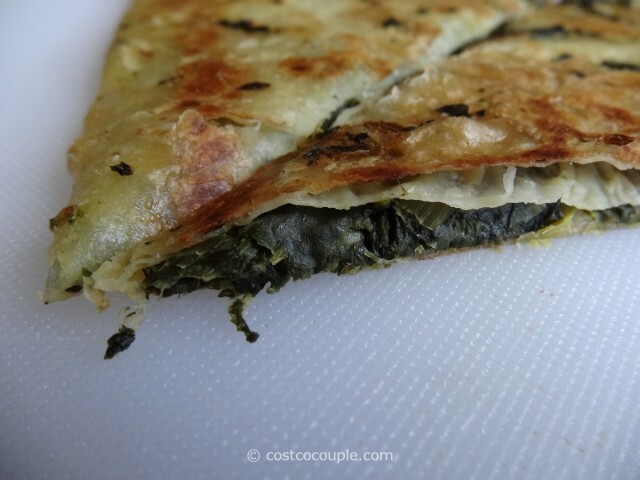 The bolani is kinda like crepe and is available with different vegetable filling – spinach, pumpkin, lentil, potato. I think we’ve purchased and tried all of them though we most often purchase the Spinach Bolani. 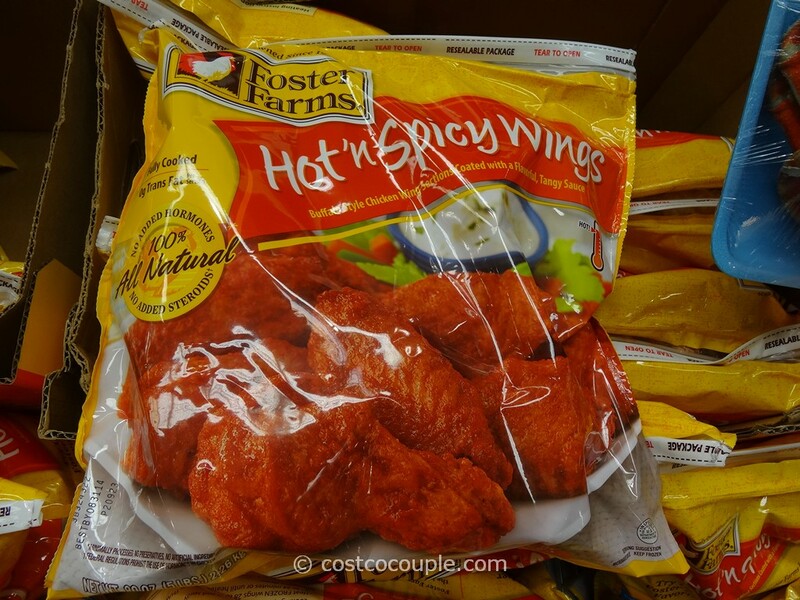 They’re great as a snack or appetizer. A pack contains 4 half-circles and they’re best serve warm. 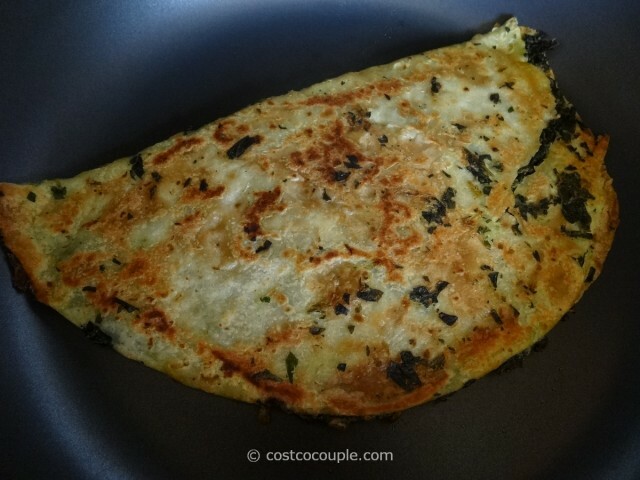 Just place one in a non-stick skillet till lightly browned on each side. Then slice and enjoy! They’re best eaten within a week of purchase. You can also freeze them, which we’ve done, and then let them defrost overnight. 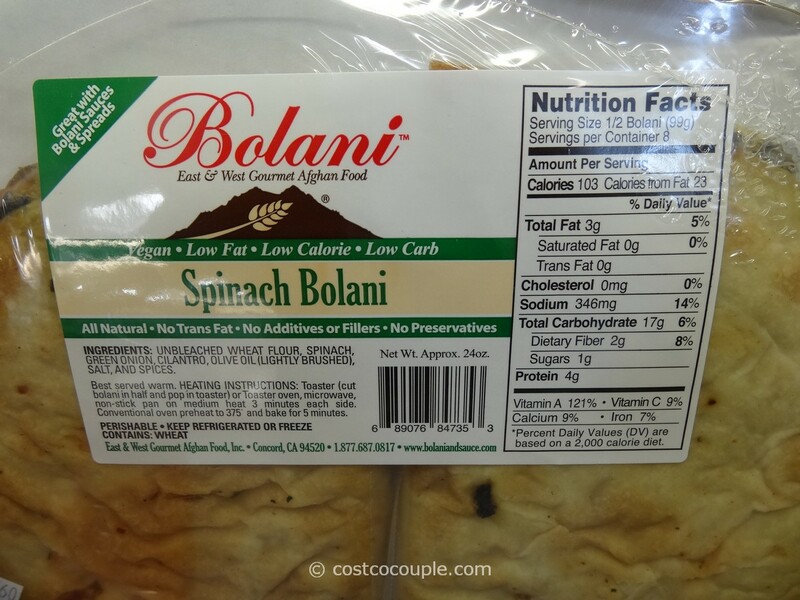 If you’ve never had bolani, they do offer samples at Costco from time to time so try to catch them then. If not, you can also try the many farmer’s market. 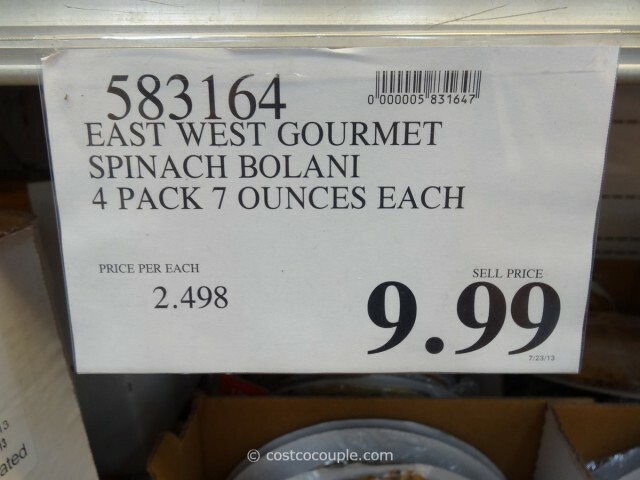 The East & West Gourmet Bolani is priced at $9.99 for a 4-pack of 7 oz each (28 oz total, same price for all varieties). Item number for the Spinach Bolani is 583164.